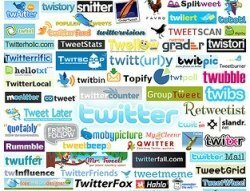 A hacker has accessed and distributed more than 300 sensitive internal documents from microblogging site Twitter. According to Twitter co-founder Biz Stone, an employee's personal e-mail account was hacked a month ago, which led to a hacker accessing the employee's Google Apps account containing the documents. "This attack had nothing to do with any vulnerability in Google Apps, which we continue to use. This is more about Twitter being in enough of a spotlight that folks who work here can become targets," Stone said in a blog posting. "This isn't about any flaw in web apps, it speaks to the importance of following good personal security guidelines, such as choosing strong passwords," he said. The stolen documents include a forecast of Twitter's annual revenues until 2013 and plans for a reality television show based on Twitter called Final Tweet. News site TechCrunch was a recipient of the documents and has already published information on the TV show and projected revenues. The news has prompted speculation about what new service Twitter is planning that it expects revenues to jump from $400,000 this quarter to $4m in Q4. TechCrunch is in negotiations with Twitter's lawyers over its intention to publish a "small subset" of the documents. These would not include documents that show floorplans and security passcodes to get into the Twitter offices. The news site said there is an ethical line that it would not cross and it would not publish a vast majority of the documents. "But a few of the documents have so much news value that we think it is appropriate to publish them," it said. Observers in the blogoshpere have predicted that the bold move by TechCrunch could see it locked in prolonged legal battles with Twitter.